The National Park Service will present a special day of boat tours and cannon firings on Saturday, August 4, at Fort Matanzas National Monument on Rattlesnake Island. The tours are free and include a ferry ride to the fort, a tour and cannon firing at the end. British Navy re-enactors in full regalia will speak about the life of an 18th century British sailor and the 276-year-old fort’s role in St. Augustine’s storied past. The tours are hourly beginning at 10 a.m. The day’s final tour begins at 3 p.m.
Stop by the Fort Matanzas Visitor Center (8635 A1A South, about 15 miles south of St. Augustine) to pick up free boarding passes prior to each tour. Plan to arrive early as space on each tour is limitedand boarding passes are issued for the next available fort tour on a first come, first served basis (no reservations). Tours are about 45 minutes and subject to weather. 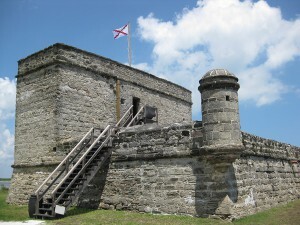 Learn more about the fort by visiting NPS.gov. 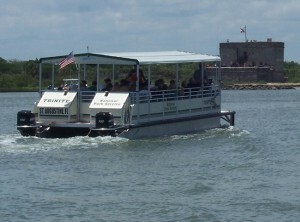 For additional information, call 904-471-0116 or visit them on Facebook at Facebook.com/FortMatanzasNPS.